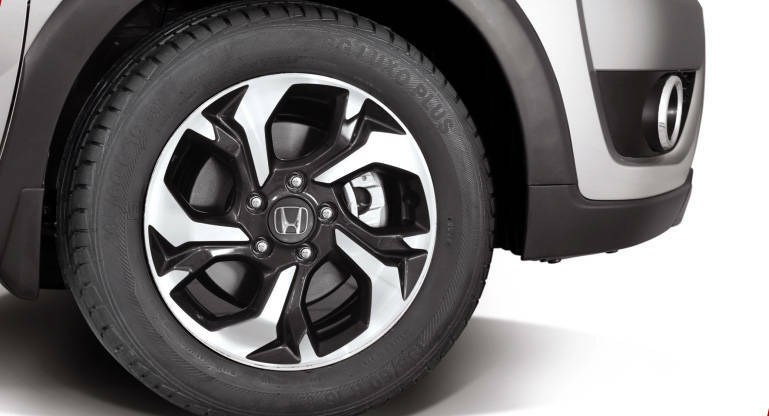 Honda BRV 2018 possesses everything that you can expect from an advanced SUV. It has trouble-free, epitomized basic, and relatively comfortable transportation for several years. A new effort to keep its technology up to date and add at least a bit of flair to the design has made it more appealing. However, this model is more interesting and engaging that its anodyne predecessors in earlier generations. 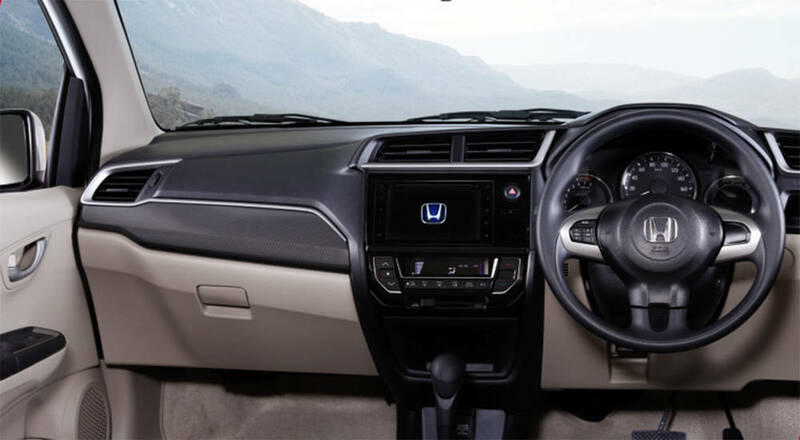 Honda BRV 2018 comes with the great interior. The PVC seat covers are standard and the upper trim appreciates the stripes on its seats. In front of that, the upper trim even gets the leathered steering wheels, gear knobs, and door knobs with leather pad. Also, carbon fiber is utilized for the appealing design. Honda BRV 2018 offers premium compact interior with most comfortable and mesmerizing interiors, which make you feel luxurious and elegant while driving or sitting. Starting from the dashboard which is sleek design made up of plastic, leather and rexine same as the seats, in the middle you would find the ac air output, multimedia system, ac controllers and small container to put tiny stuff. While in the middle there is a manual or automatic gear lever, a hand break. The BR-V gasoline and diesel both have the 1.5 L engine. The gasoline version is the one with higher performance specs. The gasoline version gets the I-VTEC with 118 hp of power and 107 lb-ft of torque. The diesel gets turbocharge and 99 horses galloping at 170 lb-ft of torque. On the track, it is yet another marvel. It is introduced to cater both Pakistani and international market. 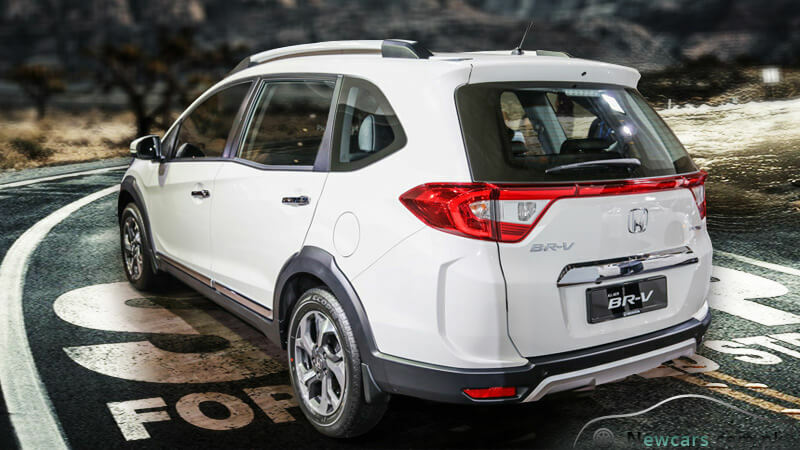 The base Honda BRV 2018 is rated at 23 mpg in city, 27 mpg on highway. However, the combined mileage is around 25 mpg. 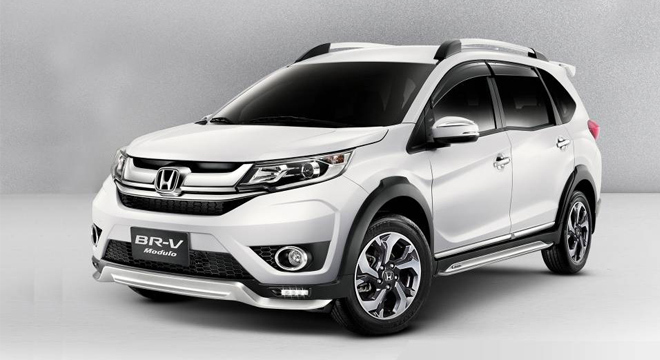 Honda BRV – 2018 is available in Modern Steel Metallic, Carnelian Red Pearl, Orchid White Pearl, Golden Brown Metallic, and Alabaster Silver Metallic. Check All Honda Cars Only At Autos.HamariWeb.com. 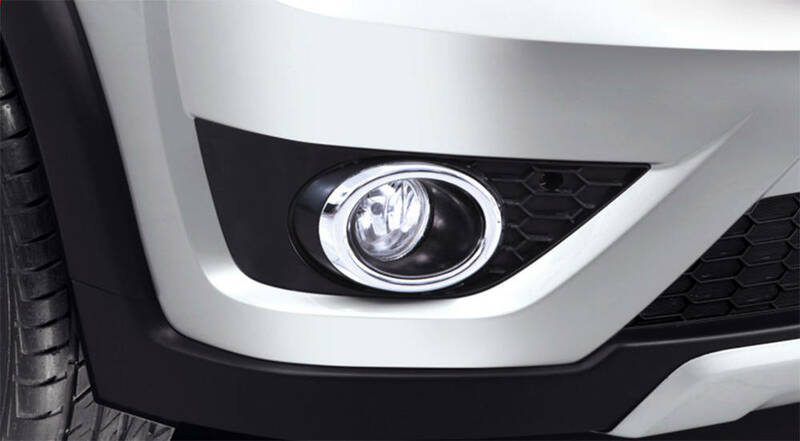 What can you expect from Honda BRV – 2018? The Honda BRV 2018 certainly holds its value. Its acceleration and handling are lackluster, it makes up for that with good fuel economy, a quality interior, and a plethora of standard advanced safety features. The Honda BRV 2018 gets the infotainment system according to the region. The voice recognition and other features also come along with the infotainment. In addition, it also has airbags for the safety of driver and passengers. It is better to buy than other cars available in this price range. Compare all models of Honda BR V 2018 Price in Pakistan; explore 2018 Honda BR V SUV specs, images (exterior & interior), videos, consumer and expert reviews. Honda BR V 2018 features include transmission type (automatic/ manual), engine cc type, horsepower, fuel economy (mileage), body type, steering wheels & more. The most economical price Honda BR V 2018 model is the BR V i-VTEC 6MT at PKR 2,234,000 and the most expensive model is the BR V BR-V i-VTEC S (CVT) at PKR 2,484,000. Currently (3) Honda BR V 2018 model variations are (Honda BR V 2018 i-VTEC 6MT, Honda BR V 2018 BR-V i-VTEC (CVT), Honda BR V 2018 BR-V i-VTEC S (CVT)) available in all cities (Karachi, Lahore, Islamabad, Quetta, and Peshawar etc.). Honda i-VTEC 6MT is an excellent car but the price is out of reach from the middle class in the poor country Pakistan. It seems red collar can buy this vehicle but white collar cannot.It shall be feasible under Rs.1100000/= Pakistani. No doubt it is a quality car better than any other one except datsun go cross. Due to govt taxes the price is still high. Govt must consider to see the masses and average income rather then obliging motor vehicle company. Update the page as the prices has been hiked. Honda brv good in shape and family SUV vechial. My Allah gave me Honda brv.ameen. Barkat.ali swat. I found an amazing information for the honda Brv here, i also went to the showroom and took a test drive of this amazing honda car, it is brilliant hatchback with quite similar features of SUVs, this car is ideal for both off road and on road drive which is best for travel across Pakistan.